This weekend started with a very busy Friday after working all week on kart prep. Jason went to school and then to a hot and humid football combine. From there, we both drove to Atomic Decals to get the stickers for the Animal kart, and then we were finally off to Blackhawk Farms for the first Championship Enduro Series of the year. This was also the Animal Nationals and the inaugural race of the 206/CES Challenge. Our expectations were high for a weekend of great racing. 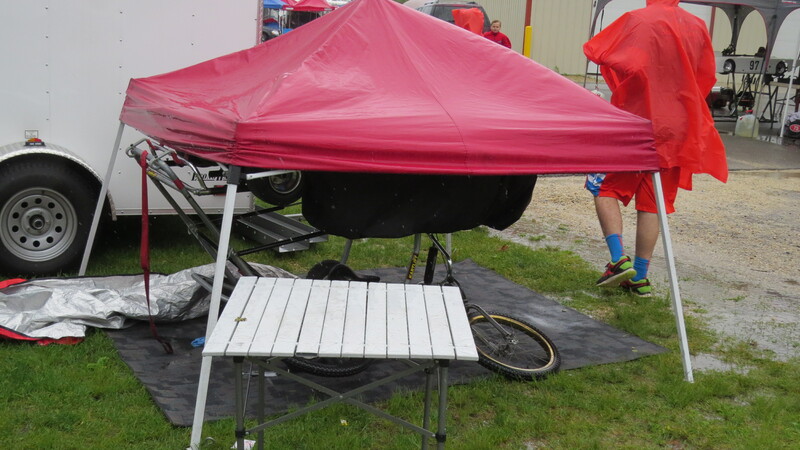 Unfortunately, Saturday was a cold and wet day of rain for most of the day. 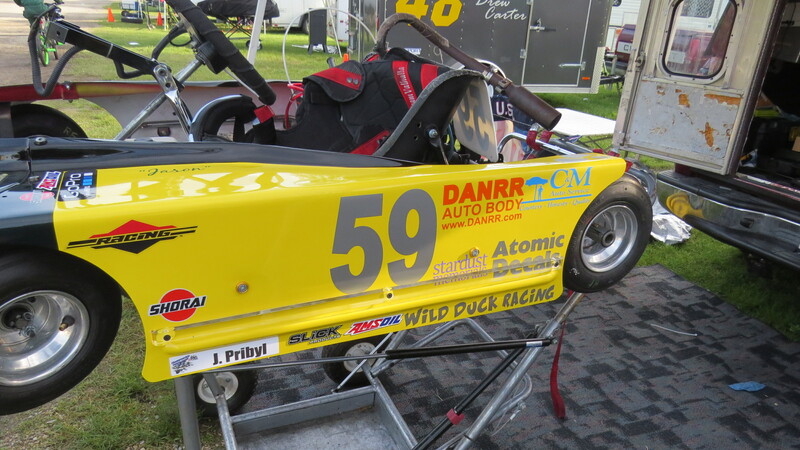 While we waited, I was able to put Atomic Decals on the kart to give it its final touches. Just as the races where canceled, the sky cleared and the Saturday night party started. 4 Cycle Central put a great bash and someone managed to get a Red Bull party truck to come out so we could watch the Chicago Blackhawks finish off the Anaheim Ducks in game 7. Sunday, on the other hand, was beautiful for racing with clear skies, cool air, and a sun warmed track. Practice for everyone was a little touch and go with couple of red flags for accidents, but everyone was uninjured and the karts where repairable. This interfered with our own testing, since we have never run this kart and motor here, and we never got a really hot lap in. In order to get the kart set up I had to review all of my notes from years past and go with my gut. The hope was to get Jason fast enough to race with some of the Sr Super heavies again. He ran a great race and kept it clean but we were just off the mark. Still, he brought home first place for his class and a trophy for the 4 Cycle Central Animal Nationals. While waiting for the his race to start he got to spend some time with the crew of MavTV‘s Adventure Aaron. With some luck we hope to be part of the show which should air sometime in August. Aaron and his team have been traveling the states this year visiting various race tracks and racing events. As is tradition after a CES race we went to the Monday Night Car Show at Old Orchard Mall in Skokie. Folks enjoyed the new kart and it’s always fun to talk to people who used or still race. Their faces light up with the memories. 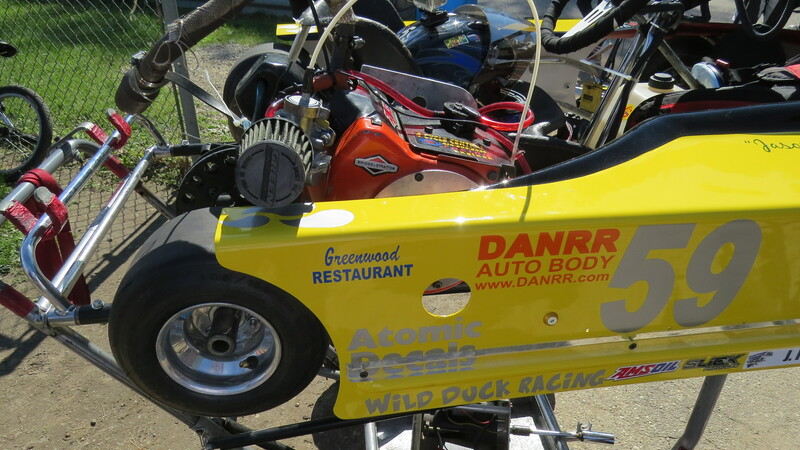 Animal Kart Ready for Racing,by Danrr Autobody and Atomic Decals. 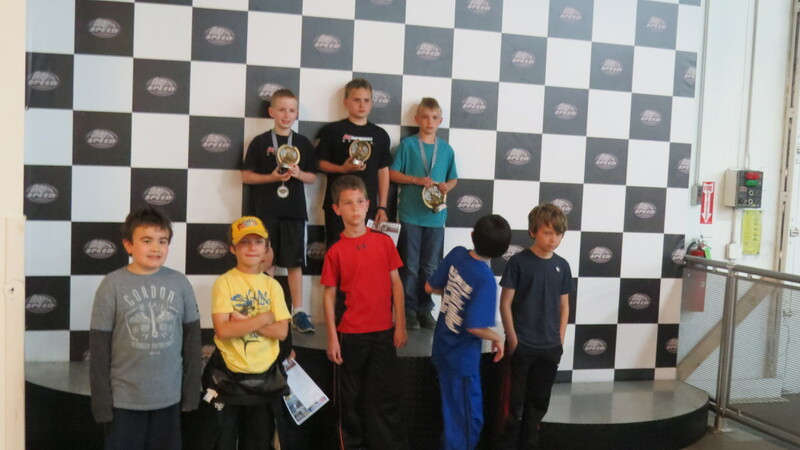 Jason also ran the last race of the K1 Speed Junior League in Buffalo Grove. This has been a real challenge for him because getting fast karts is not always possible. His first practice of the night was great – setting a very fast time and making some great passes. After that, it fell apart. 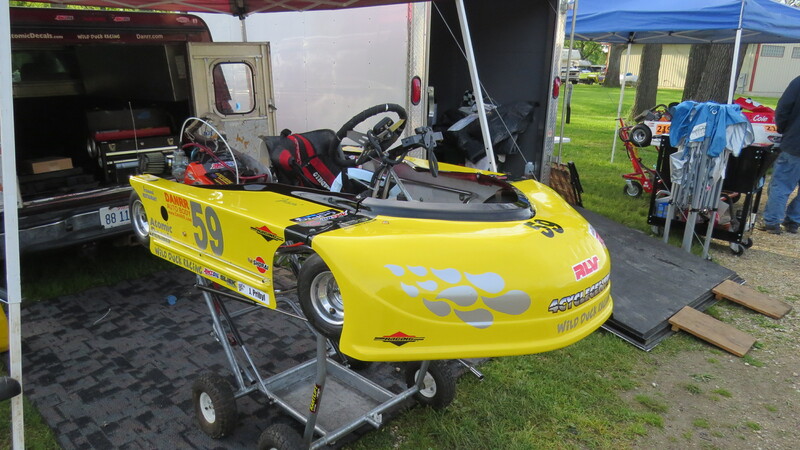 He got a very slow kart for qualifying (7th) and a mediocre kart for the race, finishing 8th. That said, he still finished in 3rd for the season. The kids put on a great show, and congratulations to all of them. 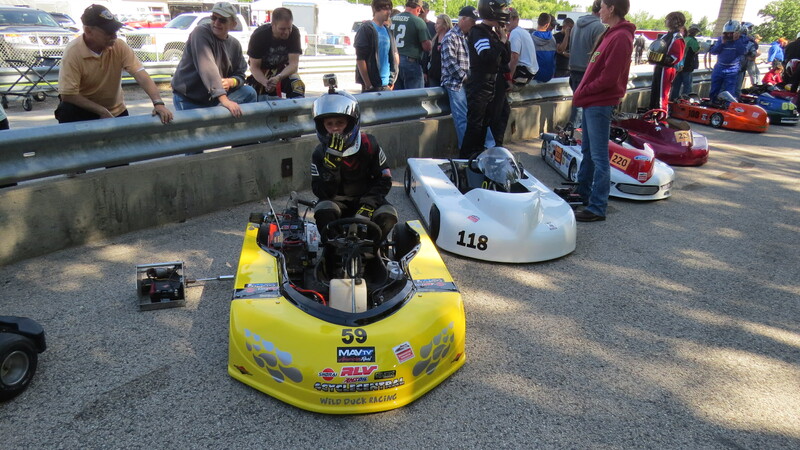 The next race will be this weekend at USAir Motorsports Raceway for races 5 and 6 of the Mid-American Sprint Series. This is one of Jason’s favorite tracks. One of my favorite features is the downhill straight into a left hand turn that the drivers take without any loss of speed and no fear. 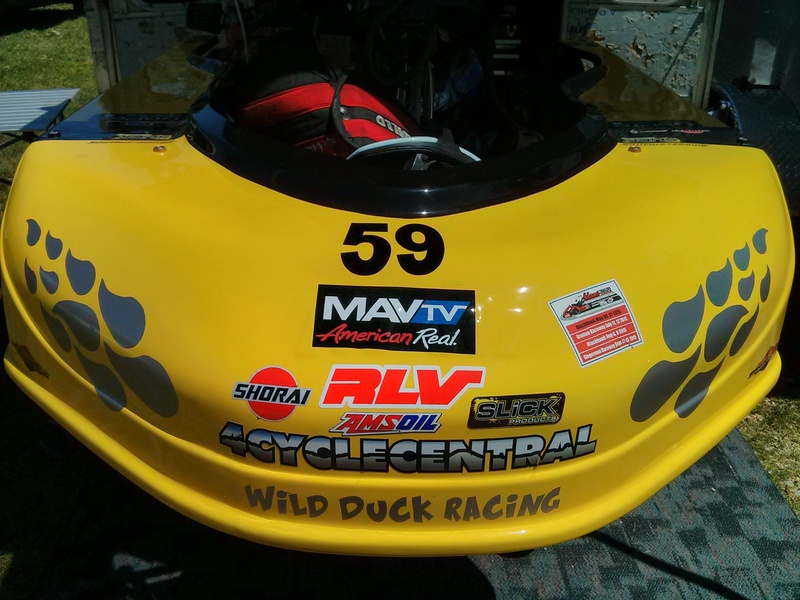 Thanks to Peshang Racing, and 4 Cycle Central, for the support during the weekend’s race. To Atomic Decals and Danrr Autobody for the gorgeous body work. Adventure Aaron and MavTV for coming out and sharing our love of the sport. Karen, thanks for letting us spend so much time working on the karts. Good luck to Katie at the Timmermann’s Ranch Fun Show this weekend, her version of horsepower.